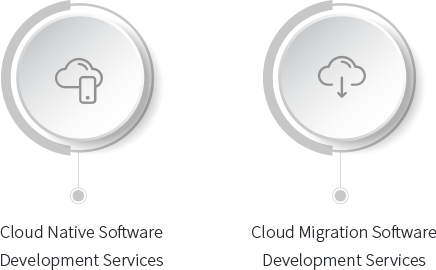 Zymr solves our clients’ toughest challenges by providing unmatched software development and professional services in cloud product engineering and cloud operations. The nature of our business has put us in touch with the brightest Silicon Valley cloud technology entrepreneurs and their top-tier Venture Capitalists. Through this experience of past several years, our teams have been hardened to think through their lens on new ways to win in the cloud economy. Zymr offers two models of engagement that have yielded excellent results for our clients. Our engineers are assigned on a monthly basis to work as full-time resources on our client’s product development projects. An FTE engagement model generates a very high-value to our clients by creating a seamless agile development team. This model improves team velocity, productivity, and domain expertise. Zymr uses industry-standard agile development processes to manage the execution of this project. Zymr charges FTE resource pool on a per engineer per month basis. Our teams assigned in FTE model are a dedicated and persistent team. Zymr analyzes a reasonably well-defined scope of work of a project and bids to meet these requirements on a not-to-exceed budget with the highest quality and stipulated schedule. The NTX engagement enables our clients to work with Zymr within the known scope, schedule, and budget parameters. Zymr charges NTX projects on a fixed cost basis to meet the agreed-upon scope. Zymr arrives at this not-to-exceed estimates by estimating the development effort in person-hours per user-story. Zymr pools highly qualified engineers for NTX model. Unless our client provides ongoing visibility, our teams disband at the end of the project. Zymr uses Sprint-Zero at the start of any project. This period of a week or two to align with our client to bootstrap the project. Zymr aligns its engineering team on the scope of the project, define ontology, agree upon software tool stack, development processes, and other details. The end goals of Sprint-Zero are listing project milestones, a healthy backlog of user-stories, groomed Sprint-1, alignment of system architecture, tool stack, and processes. Zymr recommends two-step scoring of effort estimates, macro and micro, for user-stories. Step-one is macro effort estimation by using T-Shirt sizing of a backlog of user-stories to get a rough handle on the full scope of the project. Step-two is micro effort estimation by analyzing groomed stories for upcoming sprints. In this step, effort estimates are refined from T-Shirt sizing to story-points using a Fibonacci sequence. Zymr collaborates with our client Product Owner on a set of well-defined ceremonies to ensure full-transparency in this estimating process. Zymr uses best practices to track agile development and delivery. One of the key metrics is to use ‘sprint velocity’ as a measure of team productivity. From Zymr’s experience, the velocity improves and stabilizes after a few initial sprints, as our team builds the development muscles for efficiency. However, Zymr has observed some common reasons for fluctuation in the velocity, such as unmet dependencies, mid-sprint scope change, unplanned leaves, and other causes. Zymr proactively communicates such contingencies early and often. Zymr also conducts retrospectives at the end of each sprint to mitigate development risks. 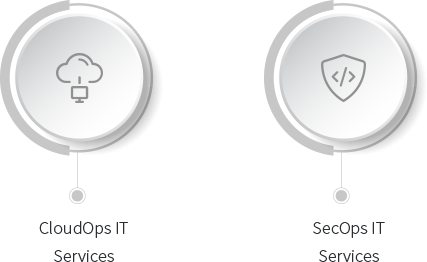 Zymr ensures macro and micro delivery to minimize surprises along the way to milestones. On a macro-delivery plane, each release/milestone/sprint has a well-defined theme agreed upon by the Product Owner to communicate a cohesive vision for delivery. On a micro-delivery plane, each user-story has well-defined ‘done-criteria’ that provides a well-defined checklist. Such checklists include code-review, unit-testing, and functional testing. Zymr produces a product-increment and a demo at the end of every sprint.